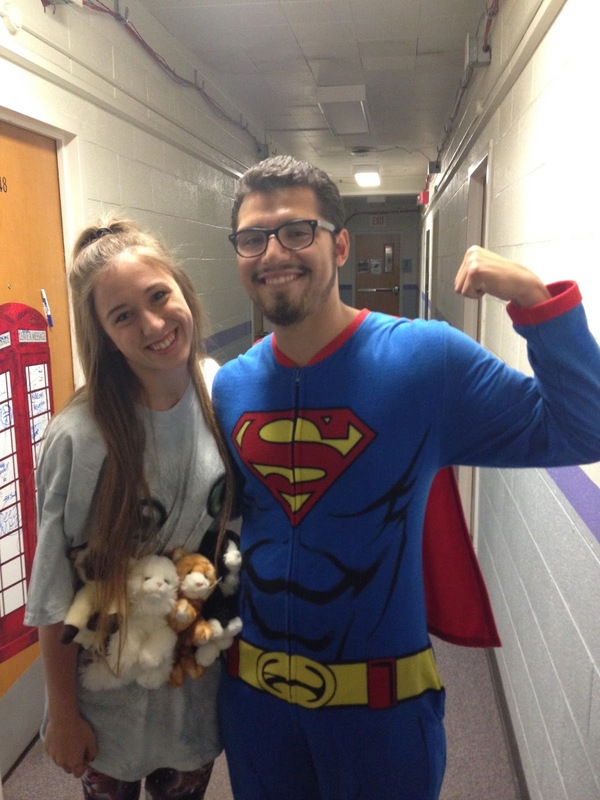 These pictures are from last night, when I went to a Halloween party with some friends from my residence hall because one night of dressing up just isn't enough! 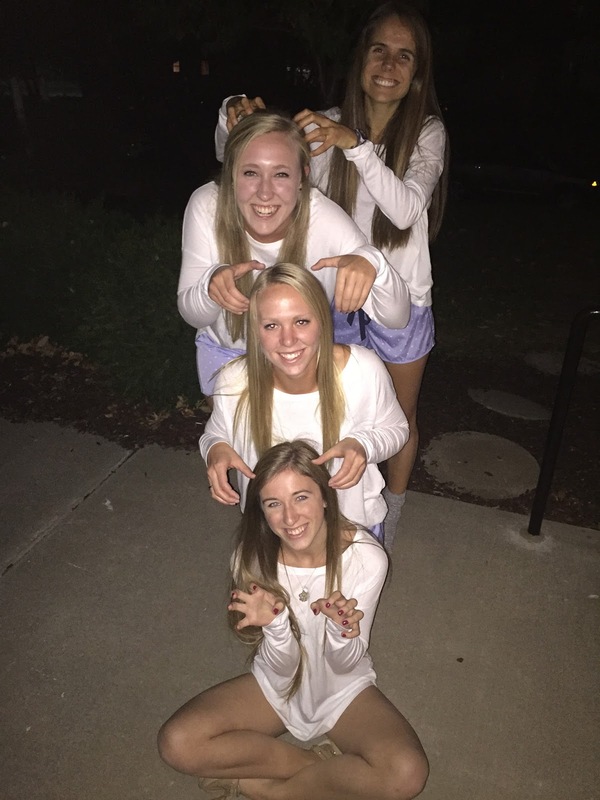 And yes, I am dressed up as a crazy cat lady! My mom took a picture of all the stuffed cats she sent me with my actual cat, Sateen. Too bad she wasn't included in the package as well. Here's me experimenting with my cat belt for my costume. Me with all of the stuffed cats my mom sent me in the mail; I found it as a funny coincidence that the package arrived on National Cat Day. 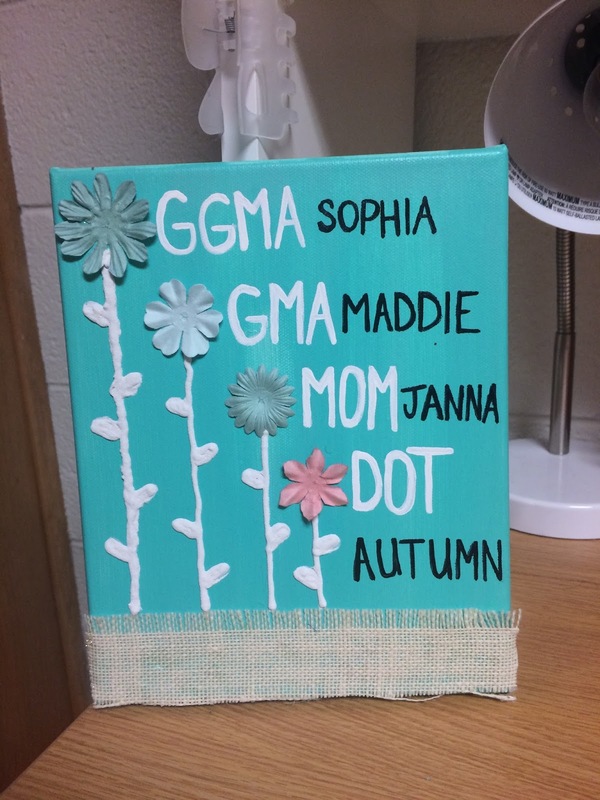 A few pictures of the super adorable crafts I got during Mom/Dot reveal for my sorority. Next year is going to be a struggle for me since I don't have one creative bone in my body. 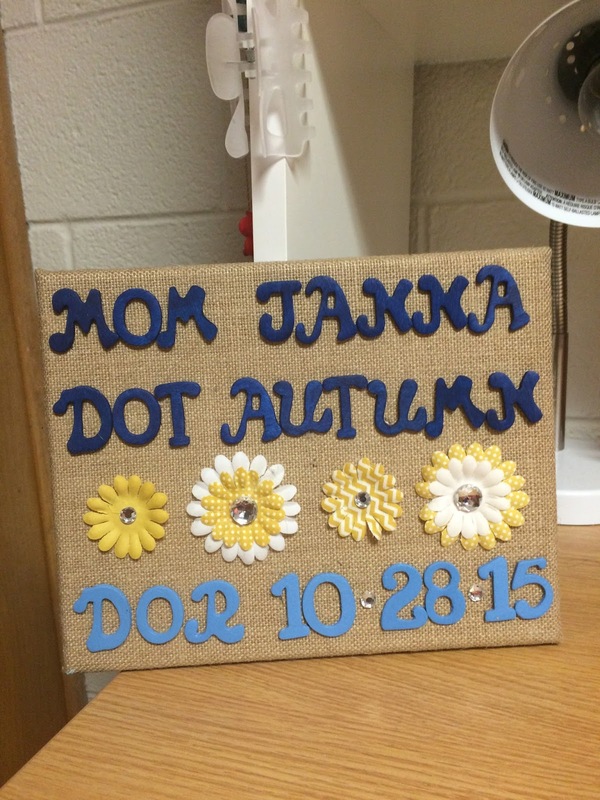 Here are a few pictures from one of the most exciting nights of college so far: Mom/Dot reveal for my sorority! I absolutely love my Mom and the rest of my family! And finally, a picture of Nate and I trying to study at the library.